Combination of supplements that will help you achieve a defined physique by reducing the body fat and contributing to the maintenance of the muscle tissue. These perfectly combined supplements will help you with the hard task of maintaining a defined physique. Specially designed by experts at HSNstore in order to fulfil its purpose. Save money with our packs. Supplement combination specially designed to help you with fat-loss while preserving as much muscle mass as possible. Save money with our packs. Looking for the ultimate muscle definition? Achieve your goals with this range of supplements that we suggest to tone your muscles. The "Get Shredded Packs" are especially interesting for those who seek to improve their body aesthetics, and in particular, reduce their fat percentage and uncover their musculature. Each pack includes high quality serum proteins, with an excellent amino acid profile, from the best sources available. 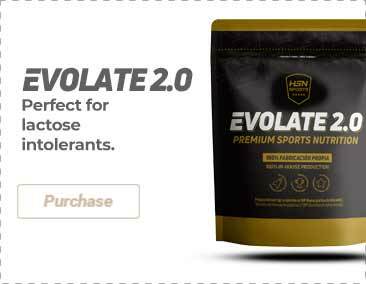 Note the presence of the Evobcaas product, which includes the BCAAs or Branched Amino Acids in the highest ratio on the market, 12:1:1, as well as being reinforced with glutamine. This combination improves recovery after intense physical sessions. Also included are other types of products such as enzymatically modified carbohydrates, to improve absorption and the subsequent replacement of muscle glycogen and thus ensure energy availability. It should not be forgotten that during the definition phase we are in caloric deficit and our performance may decrease. However, by strategically providing this type of energy source we will be able to overcome the caloric deficit. Finally, as a support of fat loss, elements that emphasize the use of fatty acids as an energy source have been included.